Dagana Dzongkhag Administration would like to announce the shortlisted results for the various posts..
Dzongkhag Administration, Dagana is pleased to announce the vacancy for various posts under Education and Civil Sector on lateral transfer and consolidated contract as specified in the attachment below. Dagana Dzongkhag Sport Association is pleased to announce the new date for Dzongkhag's First Open Marathon. 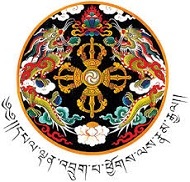 Dagana Dzongkhag Administration notifies all concerned that Gesarling Central School under Dagana Dzongkhag is upgraded to Higher Secondary School with effect from 2019 academic year. File Your Annual Asset Declaration for the reporting year 2018 from 1st February to 31st March 2019.